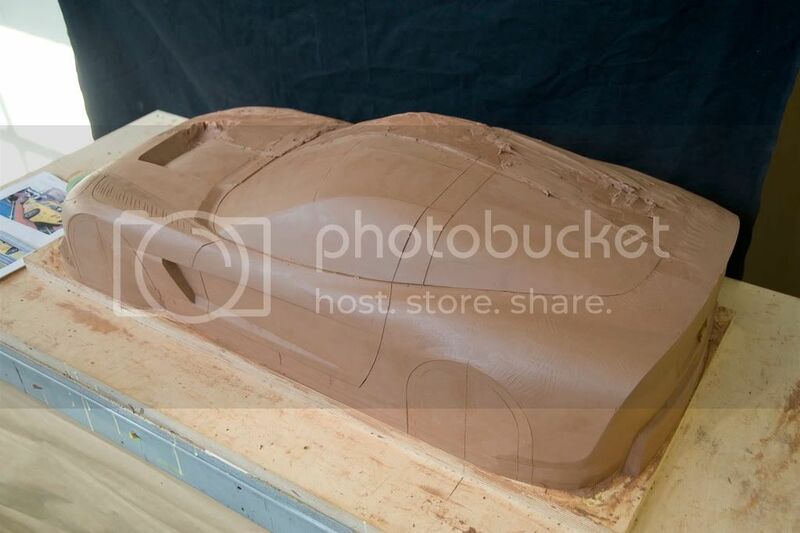 This is just the clay for the mould. it's about 40% done. The designer, Frank Killam, says it should be available by March/April. Hopefully sooner. I'll put more pics up as they're released. Oh that's nice.......real nice!!! I wonder how much it'll cost? WHOO! That is nothing short of beautiful! Keep us informed as this goes along, ! might even get a crazy bug to put such a shell on one of my MT chassis! I don't think Frank will make enough of these!! I can't waait to get my hands on that little chicken!!! I guess they are FG wheelbase? I want one, I want one, I want one, I want one. Oh, did I mention, I want one? If its coming from Frank, it has to be quality and looks. OK. The body will have a 535mm wheelbase. As per Frank, it will be a 2-piece body, with a front and rear. The split will be at the rear of the hood and follow the front door line. It will also have functional ducting behind the front wheels, and a hood scoop. That looks sweet; your going to make me buy an FG aren't you!!! All that sculpting is done by hand. No machines, but I really don't know how many hours are on that clay. I think it's around 60 hours to do the whole thing, so maybe around 25. I believe this body will cause some people to buy an on-road just to have something to put it on! There has to be a decent distributor of 5th scales in Australia. I know racing is very popular there. You hosted the 2007 5th scale world championships! Thanks. 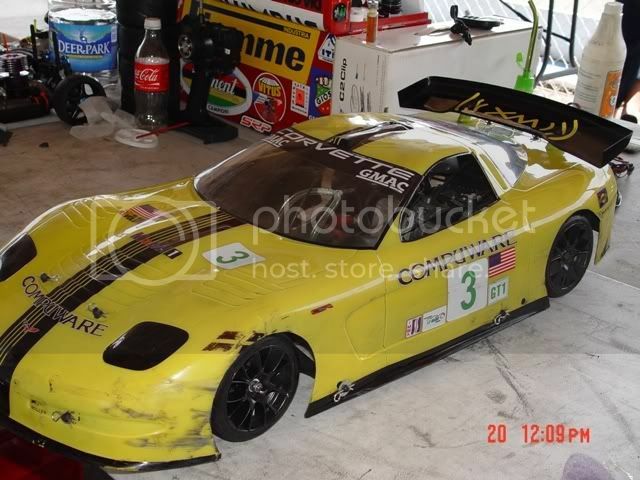 I've been a fan of Corvette Racing since day one. Have a few old bodies from 1/10 to 1/5 with different liveries from different years. I can't wait to get my hands on one of the C6-Rs.